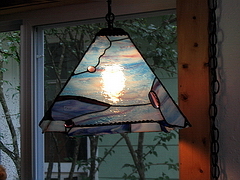 by the Light that shines Without....."
designs, builds, and installs custom stained glass windows. 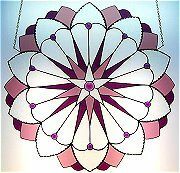 churches have recognized the incredible power of stained glass windows to reflect the spirit and vision of their congregations. 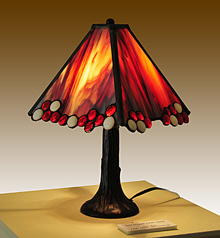 When the brilliant colors and patterns of stained glass mix with light, they become a strong, visual reflection of spiritual commitment. They are true "gifts of light". 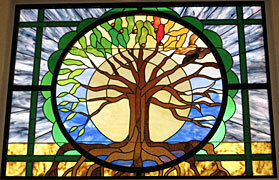 Stained Glass windows make an excellent permanent pictorial memorial. 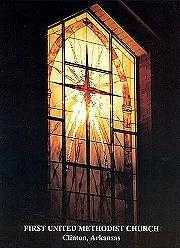 Well-built stained glass windows can survive the buildings in which they were originally installed. 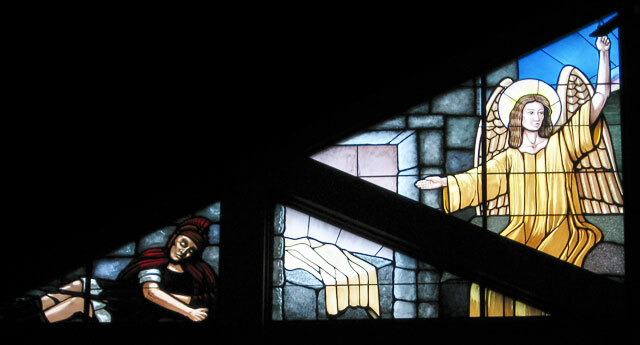 The subject of the window can reflect elements from an individual's life, fulfill basic elements in the church's design plan and provide solace to the family and inspiration to others. 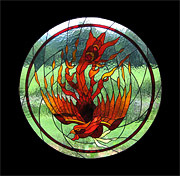 Stained glass windows can be a beautiful visual aid to the liturgical life of the church. It can add another significant dimension to the church structure for future generations to enjoy and recall. Working with clients on a close, individual basis is of the utmost importance to us. 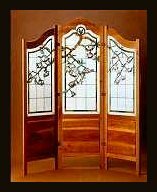 We will ensure that your stained glass will enhance your architecture and other physical features. Even more importantly, we ensure that your windows will reflect your individuality, spirit and vision.